"We are proud of all counselors and staff, thanks to our clients we are moving forward in this must needed area of service to you, we are here to help". Closed: Saturday and Sunday. Emergency appointments may be available upon request. 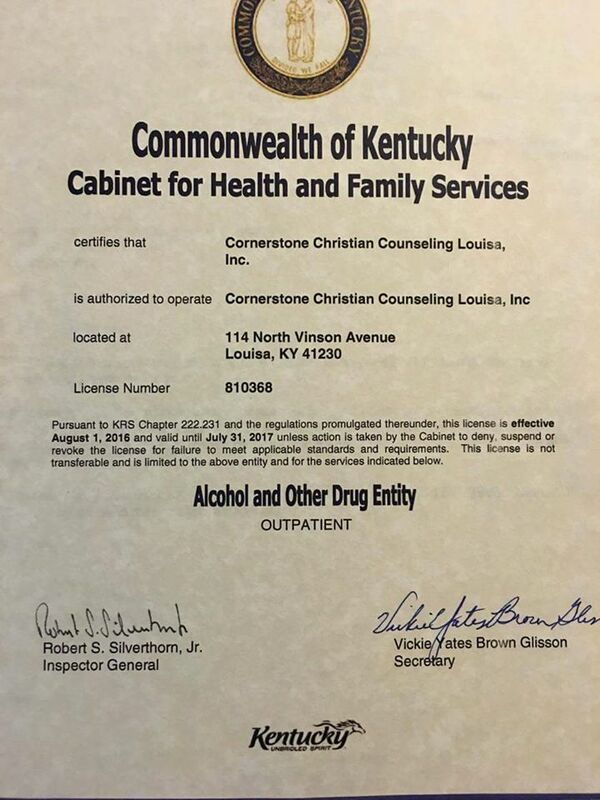 Cornerstone/Addiction Recovery Care is a Kentucky State Licensed Alcohol & Other Drug Entity (AODE) Outpatient Treatment Program. Call us today to schedule an appointment for your counseling needs! (606) 638-3322.